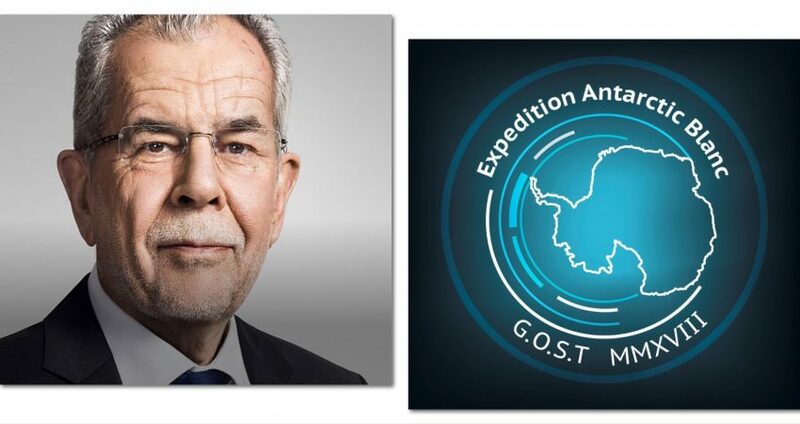 On 22 January 2019 at 11 a.m., Federal President Alexander Van der Bellen will welcome a delegation from the international expedition Antarctic Blanc, which was successfully carried out with Austrian assistance. The delegation will present the expedition flag, which represented Austria in Antarctica, as a symbol of remembrance. Austria has a long tradition in polar research, which began with the Austro-Hungarian polar expedition in the 1870s. A milestone in Austrian polar research were the contributions to the International Geophysical Year 1957/58, which formed the basis for a polar focus at the University of Innsbruck. As a result, several renowned scientists carried out research in both the Arctic and Antarctic as part of the programme. After all, the International Polar Year 2007/08 was a great success for Austrian polar research. It strengthened national and international cooperation and led to the foundation of the Austrian Polar Research Institute in 2012. Expedition Antarctic Blanc pursued historical, social and environmental goals. The 12 expedition offshore participants of the initiative, supported by the United Nations and 19 states, crossed on a 20m sailing yacht twice in 12 days, under the toughest conditions, one of the most dangerous sea routes in the world – the Drake Passage, covering 1129 nautical miles (over 2,000km). The journey was marked by the passage of several storm systems in the Antarctic and off Cape Horn, which delayed the return by several days. Winds with up to 50kn, waves up to 8m high and temperatures around freezing point demanded top physical performances from the expedition participants. INTERNATIONAL COMMEMORATION CEREMONY. Sailing on Historic Routes. The expedition commemorated the researchers, explorers and sailors whose ships had to master the challenging peculiarities of reaching an unknown part of the world. 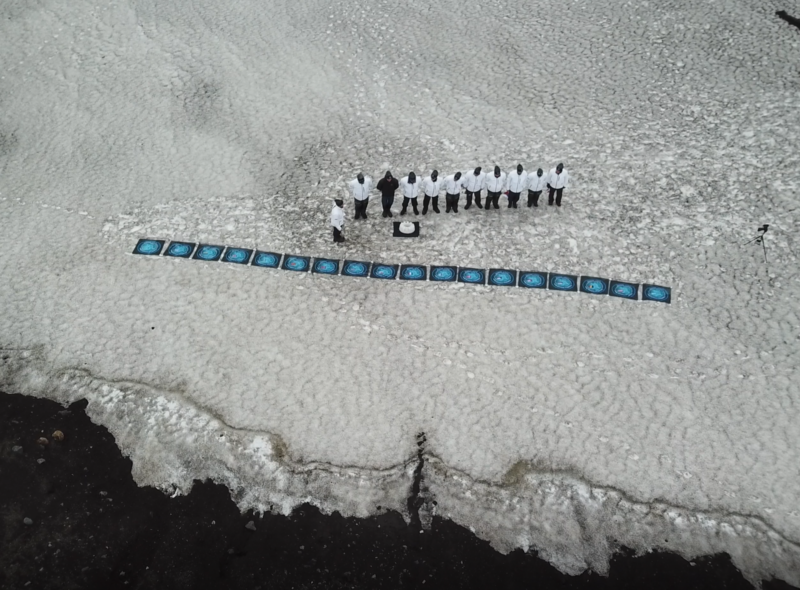 The international team held a commemoration ceremony on the historically significant Antarctic volcanic Deception Island. In the name of all supporting states and the United Nations, a wreath of local ice was symbolically formed and laid down in order to pay international tribute to the achievements in the exploration of this unique continent. The supporting nations are among the signatories of the politically unique Antarctic Treaty of 23 June 1961. Heads of state and government organizations of the 19 nations have expressed their support for this unique, privately initiated expeditions in letters to the leader of the expedition, Jochen Werne, in particular for the execution of the ceremonial act of commemoration. AUSTRIA AND THE ANTARCTIC TREATY. Austria joined the Antarctic Treaty on 25 August 1987 and, with its signature, also acknowledged that “in the interest of all mankind, Antarctica is used exclusively for peaceful purposes and should not become the scene or object of international discord”. Austria also underlined its commitment to the preservation of this ecosystem as a “nature reserve dedicated to peace and science”. UNEP CLEAN SEAS INITIATIVE. 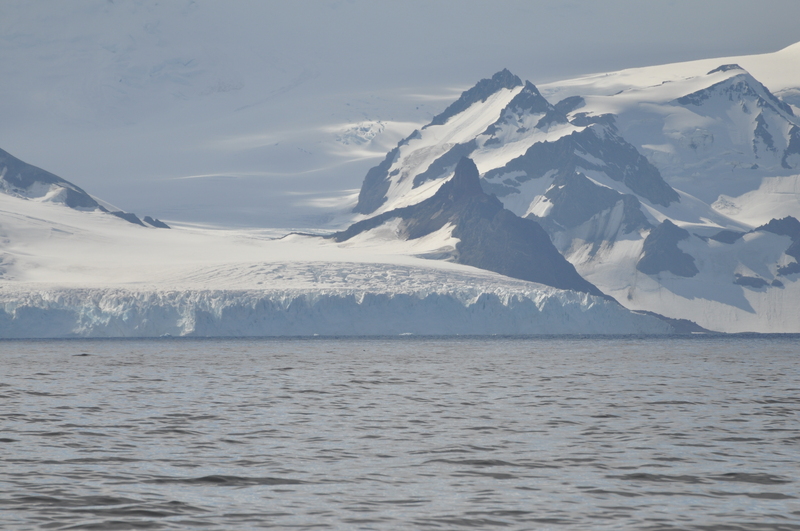 The main focus of the expedition was to sensitize the international public for the preservation of the unique Antarctic ecosystem and to support the UN initiative Clean Seas to combat plastic waste in the oceans. With Expedition Antarctic Blanc, this important United Nations Environmental Program project is now finding acceptance on all continents of our planet. CONSEQUENCES OF CLIMATE CHANGE ON THE ECOSYSTEM. 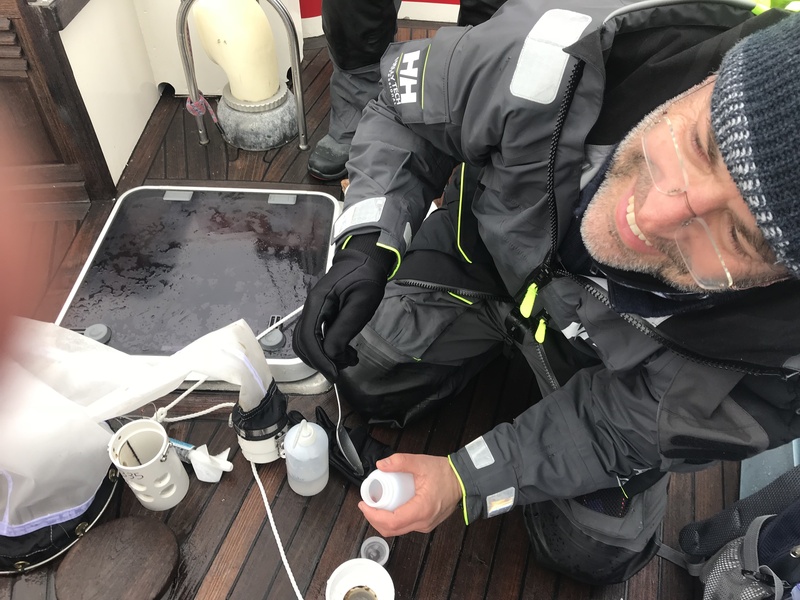 In addition, the expedition supported the University of Connecticut and Northeastern University’s research project on plankton metabarcoding by collecting plankton samples, which could provide a fundamental contribution to obtaining rapid responses to the ecosystem’s response to climate change. WHALES IN THE ANTARCTIC. With the observation of 18 different whales and the detailed documentation of their position and behaviour, the expedition also contributed to the establishment of the global whale observation platform ‘Happy Wales’. The platform is intended to provide science with in-depth insights into the behaviour and development of the largest mammals on our planet. CHILD AND YOUTH DEVELOPMENT. To promote international children and youth projects, several live broadcasts were held from sea and Antarctica with children of the sailing school of the Yacht Club de Monaco. 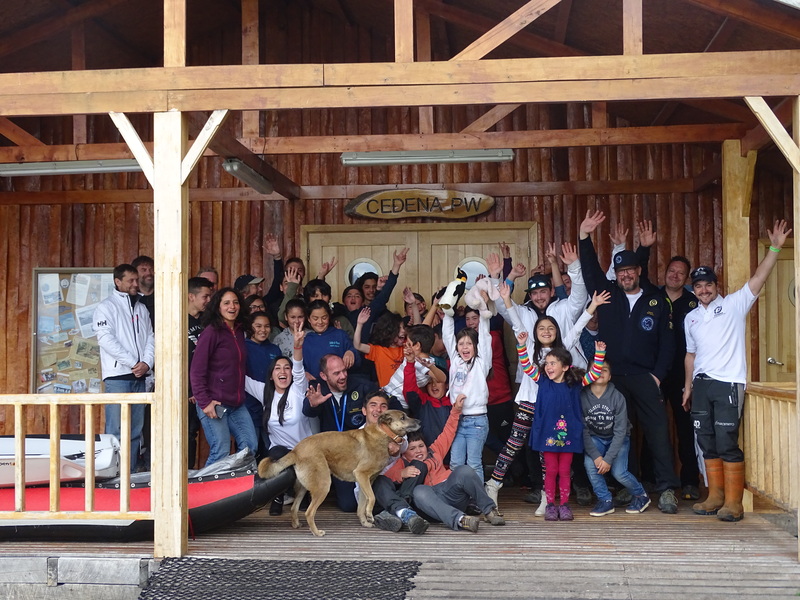 On their return, the team visited the Cedena Yacht School Puerto Williams, Chile, which is open to children from all walks of life in the southernmost region of our planet, and through sport encourages them to develop their own goals and character traits that are conducive to their personal development. In addition to a donation from the expedition team, the foundation stone was laid for an international exchange and the children were introduced to Antarctica and its significance. INTERNATIONAL RECOGNITION. The visit to the Hofburg marks the third important reception for Expedition Antarctic Blanc after the reception by Prince Albert II in Monaco and the ambassador of the poles of the Netherlands, Carola van Reijnsoever, in The Hague. Further visits to Copenhagen, Paris and Madrid are planned shortly. Following the flag handover on 22 January 2018 at 11 a.m. in the Hofburg, the expedition participants Jochen Werne and Dr. Wolfgang Händel, Liasion Officers Götz Credé and Andris Adam, as well as the founding director of the Austrian Polar Research Institute Prof. Dr. Andreas Richter and Christin Latk from the Expedition Support Team in the Academy for Leadership will be available to the press for questions and interviews, pictures and filming. On request, the delegation can also attend press events in Vienna on this day. Accreditation is requested. Please send an e-mail to ExpeditionLeader@AntarcticBlanc.com for this purpose. Expedition “Antarctic Blanc” is the continuation of the polar initiative launched in 2016 with comparable objectives under the name “Arctic Ocean Raptor”, but in the Spitsbergen sea area and up to the Arctic pack ice limit. An additional and important aspect was the commemoration of the seafarers of all nations, who fulfilled their seafaring duties during the maritime operations in the Arctic under the mostly merciless weather conditions and partly also lost their lives. In the name of the Norwegian King Harald V and the Canadian government, a wreath was handed over to the lake; further international support for this expedition came from Belgium, Germany, Great Britain and Italy. Founded in 1999 by Jochen Werne and Guido Zoeller, the Global Offshore Sailing Team is once again committed to maritime history and environmental issues with this particularly challenging expedition and its People’s Diplomacy campaign.